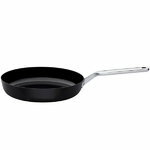 Hackman Rotisser NOH 28 cm frying pan is ideal for cooking for a larger group of diners. 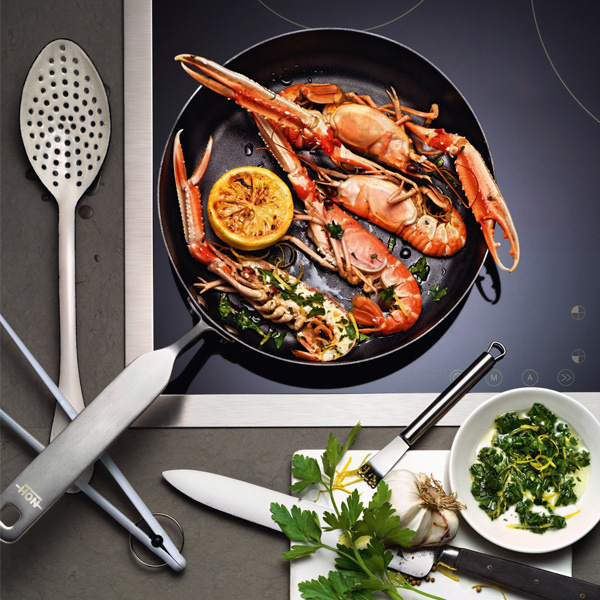 Rotisser is a series of high-quality cookware from the Finnish brand Hackman. Due to the Hardtec Superior non-stick coating, the pans endure blunt metal cooking utensils and may be washed in a dishwasher. 70 % of Rotisser pans material is recycled and the Energy Base ensures they are energy-efficient. The series is also ovenproof up to 250 °C. 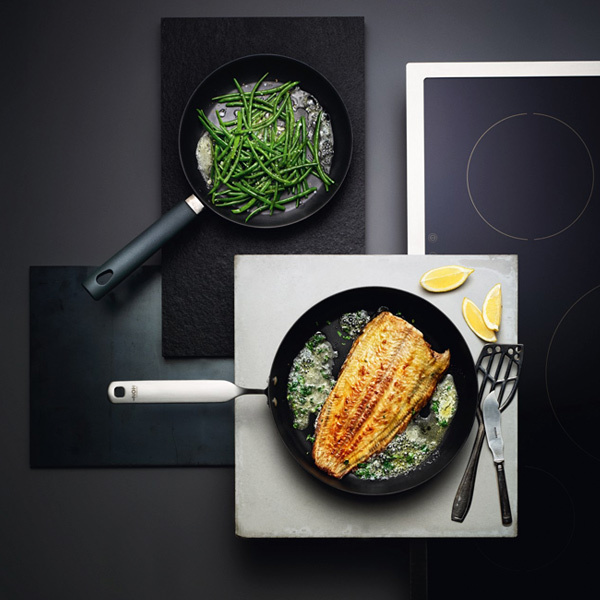 Rotisser NOH is a series of durable and non-overheatable frying pans, which are custom designed for induction hobs. The NOH technology prevents the pans from heating up over 230 °C and cooking oils from catching fire. The series’ innovative qualities offer the pans a longer life span and enable a better frying result. The Rotisser series has been designed by the internationally renowned design agency Pentagon Design and it is made in Finland.